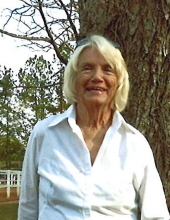 Lucy Wilinda Jones, 77, of Vienna died Wednesday, April 03, 2019 at her home. A native of Camilla, she was born April 10, 1941 to the late William Young Smith and Alberta Onis Oliver Smith. She loved her work as an interior designer and loved gardening. Funeral services will be held at 11:00 a.m., Saturday, April 6, 2019 at Greg Hancock Funeral Chapel in Americus. The family will receive friends beginning at 10:00 a.m., an hour prior to the service. Burial will follow in Ellaville City Cemetery. Survivors include her two daughters: Jennifer Barnes and Michael Bennett of Vienna, and Rolynda and Shannon White of Perry; a son, Russell Kent Grimes of Americus; and two brothers and sisters-in-law: Jerry and Terri Smith of Chipley, FL, and Tony and Sharon Smith of Baconton. Also surviving are nine grandchildren and twenty great-grandchildren. In addition to her parents, she was preceded in death by a son, Roger Daniel Grimes, Jr.
To send flowers or a remembrance gift to the family of Lucy Wilinda Jones, please visit our Tribute Store. "Email Address" would like to share the life celebration of Lucy Wilinda Jones. Click on the "link" to go to share a favorite memory or leave a condolence message for the family.